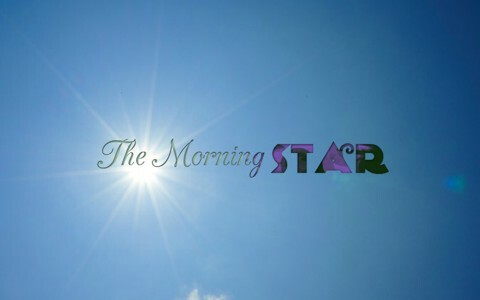 Why Are Jesus and Satan Referred To As The Morning Star In The Bible? One of the main verses and sections of Scripture where Lucifer or Satan (also called the Devil) is called the “morning star” is in Isaiah 14:12-15 which says “How you are fallen from heaven, O Day Star, son of Dawn! How you are cut down to the ground, you who laid the nations low! You said in your heart, “I will ascend to heaven; I will raise my throne above the stars of God; I will sit enthroned on the mount of assembly, on the utmost heights of the sacred mountain. I will ascend above the tops of the clouds; I will make myself like the Most High.” But you are brought down to the grave, to the depths of the pit.” One thing to note is that Satan or Lucifer has brought the nations down low. He has weakened the governmental systems of this world for sure. Satan was once called the “Day Star” and “star of the morning” not the morning star as some translations give (NASB). The Hebrew word used for “star” is “heylel” and means “light-bearer” or “shining one” and is not “morning star.” The Hebrew word “heylel” is just another name for Lucifer. Any light that Satan or Lucifer once had was lost in the fall when he tried to usurp or take over the throne of God because as Isaiah 14:14 says “I will make myself like the Most High” or basically “I will become God.” God’s response to Satan was a cold reality as God said, “Nevertheless you will be thrust down to Sheol, To the recesses of the pit” (Isaiah 14:15). Satan was once called the “Day Star” and “star of the morning” not the morning star as some translations give. Both Jesus and Satan are referred to as lion but they have decidedly different reasons for being call as such. Peter warned the church to “Be sober-minded; be watchful. Your adversary the devil prowls around like a roaring lion, seeking someone to devour” (1 Pet 5:8) so here Satan is described as a ravenous lion seeking out someone to destroy or devour and Satan typically goes for the stragglers, the ones who are hurting, just as a lion in the wild does, and those who are injured and separated from the sheepfold are the most vulnerable. Jesus is referred to as “the Lion that is from the tribe of Judah, the Root of David [Who] has overcome so as to open the book and its seven seals” (Rev 5:5). Jesus is the light of the world (John 9:5) and “In Him was life, and the life was the Light of men. The Light shines in the darkness, and the darkness did not comprehend it” (John 1:4-5) and Jesus was and is “the true Light which, coming into the world, enlightens every man” (John 1:9) but Satan is the prince of darkness and Paul warns us to not partake in the “unfruitful works of darkness” (Eph 5:11). Jesus came “to open their eyes so that they may turn from darkness to light and from the dominion of Satan to God, that they may receive forgiveness of sins and an inheritance among those who have been sanctified by faith in Me’” (Acts 26:18). Jesus sent out His disciples and “The seventy returned with joy, saying, “Lord, even the demons are subject to us in Your name.” And He said to them, “I was watching Satan fall from heaven like lightning” (Luke 10:17-18) indicating that Satan had fallen but was this from heaven? It could be what Jesus was referring to since He was an eye witness of Satan being cast out of heaven down to the earth and that’s why He said “I was watching Satan fall from heaven like lightning.” That is why Paul writes to “not be yoked together with unbelievers. For what do righteousness and wickedness have in common? Or what fellowship can light have with darkness” (2 Cor 6:14). Satan and all his demons will be cast down into the lake of fire as described in Revelation 20:10 “the devil who deceived them was thrown into the lake of fire and brimstone, where the beast and the false prophet are also; and they will be tormented day and night forever and ever” but Jesus will rise like no morning star anyone has ever seen and “He will bring forth your righteousness as the light, and your justice as the noonday” (Psalm 37:6). As for Jesus “there will no longer be any night; and they will not have need of the light of a lamp nor the light of the sun, because the Lord God will illumine them; and they will reign forever and ever” (Rev 22:5). We will behold what John saw in his vision “I saw no temple in it, for the Lord God the Almighty and the Lamb are its temple. And the city has no need of the sun or of the moon to shine on it, for the glory of God has illumined it, and its lamp is the Lamb. The nations will walk by its light, and the kings of the earth[s]will bring their glory into it. In the daytime (for there will be no night there) its gates will never be closed; and they will bring the glory and the honor of the nations into it” (Rev 21:22-26). If you have never had a time in your life where you’ve repented and trusted in Christ, then your name is not written down in the book of life “And if anyone’s name was not found written in the book of life, he was thrown into the lake of fire” (Rev 20:15) but there is no need for this. All who believe in Christ will never be condemned (John 3:36a) but whoever rejects believing in the only name by which they can be saved (Acts 4:12) will have the wrath of God upon them for all time (John 3:36b). Related reading: Why and When Did Lucifer Fall? Although the men who provided the letters didn’t know this about the universe at the time, what we call “stars” actually fall into several separate classifications. Most stars are like our sun. They generate light and heat. They bring life if you’re just the right distance away, or death if you’re too close or too far away. Sinful, unprotected man cannot approach a Holy God without being consumed by the fire of His Holiness, and being too far away offers little provision. A few stars are reflectors of light. These include planets, and with modern technology satellites, space stations, and the like. They don’t generate their own light, but merely reflect the light that’s there. Then there are the “falling stars.” These do generate light and heat, and occasionally noise and smaller fragments when they explode. These are debris from space (again natural items until the last 60-ish years) that are definitely generating light and heat, but only because they are being consumed and destroyed. The light and heat is useless, though entertaining for a moment, but represents destruction. Thank you Joe. It is always so good to hear from you my friend and especially since you always fill in the cracks of articles on this side, giving us all (and me included) a generous portion that works to complete these articles from your always-wise biblical input. I had not thought of the different stars and their capacities as such. You are always so informative my good friend and brother in Christ. Wonderful article with Scripture, Pastor Jack. Also appreciated Joe Sewell’s comment. Thank you my dear sister in Christ. I so agree with you about Joe’s comments. Joe is a student of the Bible, like you, and you can tell it. He always contributes nicely as do you as well. I so appreciate you both…no, more than that, I thank God for you both. Thank you for pointing out the inadequacy of some versions of the Bible such as NASB. Some versions leave out the name Lucifer. What versions use “Morning Star” for Jesus? or “the sun”, as the Syriac version renders it; not Christ, the morning star, the dayspring from on high, and the sun of righteousness, who was already risen upon them; nor the grace of God implanted in their hearts, by which they were already called out of darkness, and made light in the Lord; but as the day star is the bringer of light, as the word used signifies, or the forerunner of the day, so it here intends the immediate signs and forerunners of the coming of Christ; which when observed in their hearts, and by their understandings, as being come to pass, they may lift up their heads with joy, because their redemption draws near, ( Luke 21:28 ) and so the Ethiopic here renders it, “and redemption, arise for you in your hearts”. Now till this time the sure word of prophecy concerning Christ’s second coming is to be “taken heed unto”, as a lamp, light, and torch, to direct us to it, to encourage us to love it, long for it, and hasten to it: and in so doing we shall “do well”; it will be well for the glory of God and Christ, this being setting our seals to them as true; and well for ourselves to keep up our faith, hope, and expectation of it, unmoved. I am going to check this out. I used the ESV as I do for most articles and this is what the ESV and the NASB (a very good translation too) says “So we have the prophetic word made more sure, to which you do well to pay attention as to a lamp shining in a dark place, until the day dawns and the morning star arises in your hearts” (1st Pet 1:9). Even the KJV which says “a light that shineth in a dark place, until the day dawn, and the day star arise in your hearts” is understood to be the morning start as the “day star that arises” which is that “light that shineth in a dark place, until the dawn of day” so even thou it doesn’t say “morning star” the context of this in the KJV seems to be the same thing as a morning star. Hope that helps or did I just cloudy it up? This was understood to be a metaphor for Christ by almost every translator. As for “Does it mean for believers we already have the morning star within us then the day star comes which is Lucifer and then Christ comes?” I do not know that although that fact is true. Do we have “Lucifer’s” light (morning star) within us? I have not seen this reference anywhere in the Old or New Testament and he is called the prince of darkness so it wouldn’t seem so but that’s probably me and not giving enough time for a proper answer. Let’s not get too pedantic here! The bible, especially the Old Testament is written in pictorial language and any translation into English is necessarily imprecise. These descriptions, and others throughout the scriptures, are surely not meant to be taken literally in an scientific sense but are rather more like parables and the figures of speech which we all use. They are meant to convey a profound truth but must not be taken to be necessarily to whole truth. The morning star appears in the sky which we take as a sign that the night is coming to an end and the day will soon be upon us. The coming of Jesus likewise is a sign that the “darkness” of sin in the world is fading in the “light ” of the truth of God’s Word. May I respectfully suggest that no-one should miss the wood by examining the trees too closely.